The couple now lives in Woodridge about a half mile away from a cross-country ski trail at Greene Valley Forest Preserve. Lynn, a dental hygienist, classic skies in the tracks while Tom, who works in global logistics and trade compliance, skate skies. They are year-round outdoor athletes, and nature plays a big part of those endeavors. Lynn also does the American Lung Association’s “Fight for Air” stair climb in Oak Brook Terrace in February. In the past she has won in her age group and is generally among the top finishers. 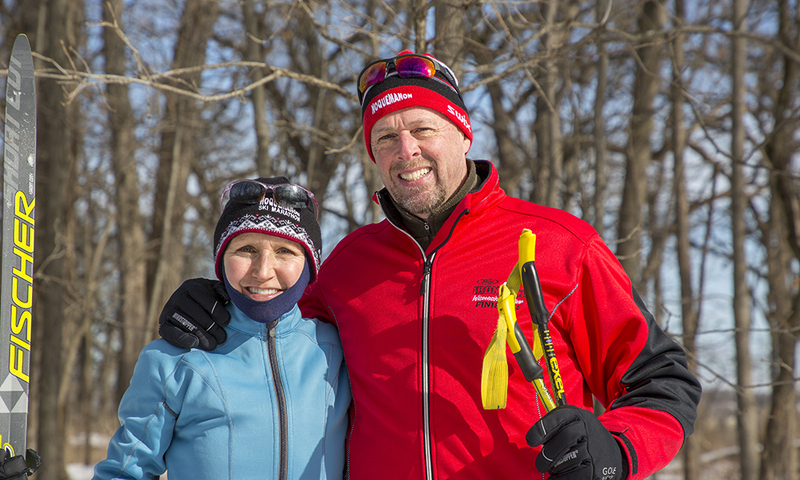 Lynn and Tom Degnan ski at Greene Valley Forest Preserve in Naperville/Woodridge. We caught up to them right before they left for Marquette, Mich., for the Noquemanon cross-country race. They have also participated in the American Birkebeiner, the largest cross-country ski race in North America in Hayward, Wis., the Vasaloppet in Sweden and other local cross-country races as well. 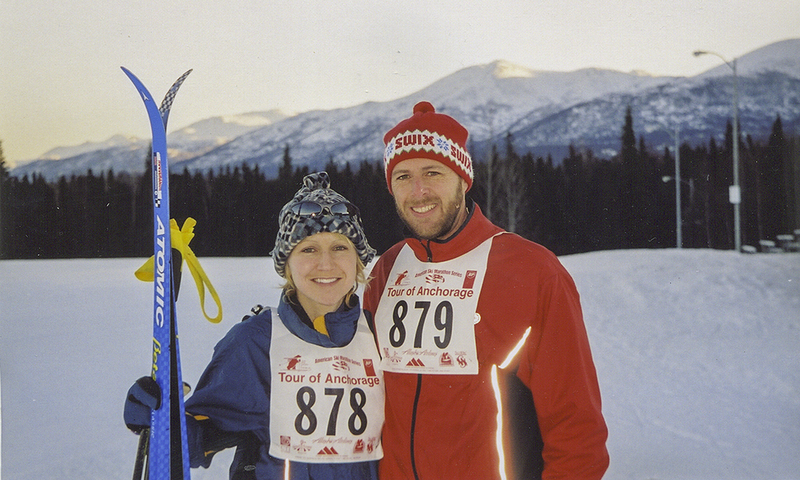 Lynn and Tom Degnan competed in the Tour of Anchorage cross-country race in 2002. 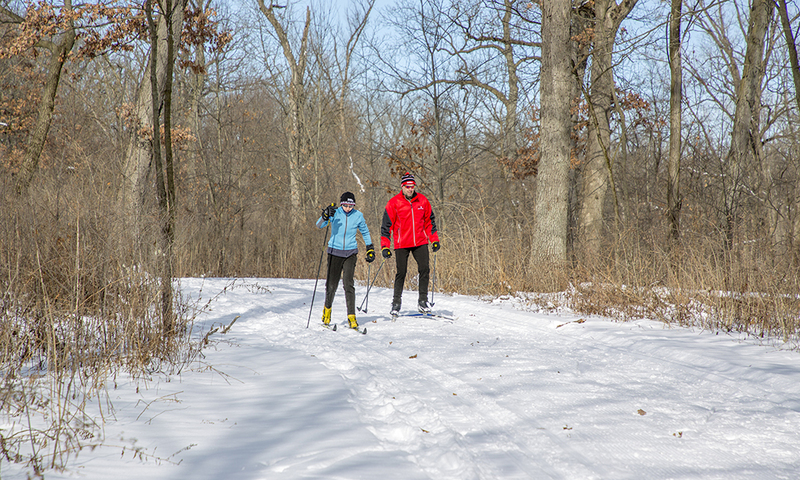 The Degnans recommend experiencing the preserves in all seasons. 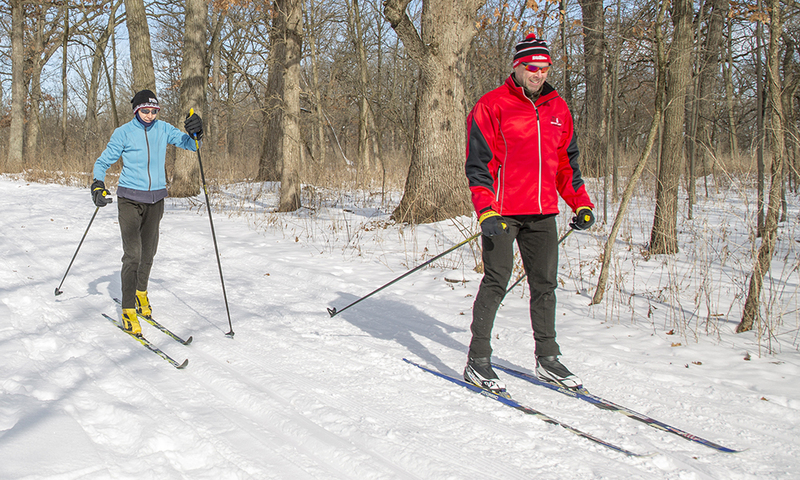 “The forest preserves offer nature experiences year-round,” Tom said. ”Wintertime after snowfall in particular brings out the beauty of nature in the winter. “Bundle up and go hiking, animal/birdwatching, or go cross country skiing to truly enjoy winter in your forest preserve,” they said. If you have a fun or unique way of catching nature in our preserves and would like to be featured in a “Catching Nature” blog, please contact Deb Humiston at dhumiston@dupageforest.org.